Thinking about remodeling your kitchen/bath, or are you building a new home? It is never too early to involve us in your project, and our consultation phase is free of charge. 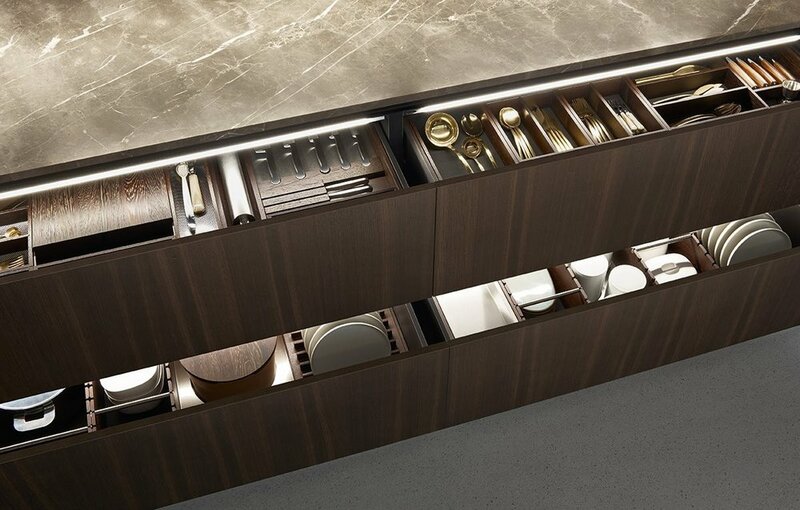 We invite you into our showroom for a tour of our cabinetry displays, where you can touch, see and experience all of the quality differences and design details that set our product apart. We will walk you through the various options, look at our collection of finishes, and discuss your vision for the project. If you have an architectural drawing or rough sketch with dimensions of the space, please share that information with us. Alternatively, an experienced member of our design staff will come to your home to take measurements. Our initial goal is to answer all of your questions and learn as much as possible about your project in order to prepare an accurate “ball park” estimate for your review. Our 3D computer renderings will help you visualize the transformation of your space. After you have reviewed and are satisfied with our initial proposal, we move forward by charging a non-refundable design retainer fee. The fee is 10% of the project estimate, and is later applied toward the purchase price of your cabinetry. We will then work on preparing a detailed and complete design package, planning every inch of space and providing expert guidance to help make the best selections. We have the resources to offer you a completely turnkey service - including countertops, appliances, flooring, lighting, plumbing fixtures and more. We can also recommend and assist with hiring a general contractor, or any other construction or design professionals that may need to be involved in the project. Once the design has been perfected, all decisions have been made, and the final drawings have been reviewed/signed, we are ready to submit your order to our factory in Italy. The final price will be calculated, and we will take a 50% deposit to submit your order (minus the 10% design deposit taken prior). The remaining 50% is due when the product comes into our warehouse. 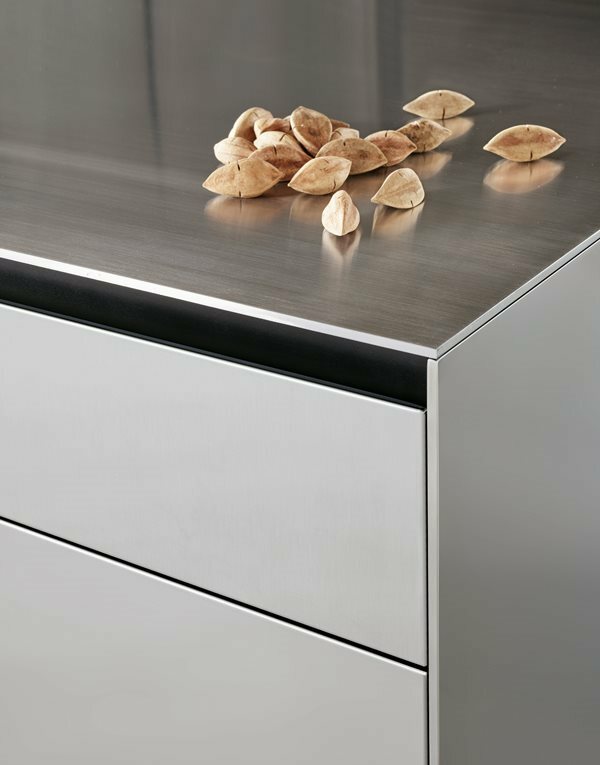 After order placement, lead time is usually 12-14 weeks for cabinetry. Before the product arrives, we will perform site visits, and coordinate any prep work with construction professionals. The cabinetry is unloaded at our professional receiving warehouse and carefully delivered to your job site. Our highly qualified, professional installation team will complete the job, with our staff checking in and making the process as smooth as possible for our clients. Average installation time for our kitchens is 1 week. 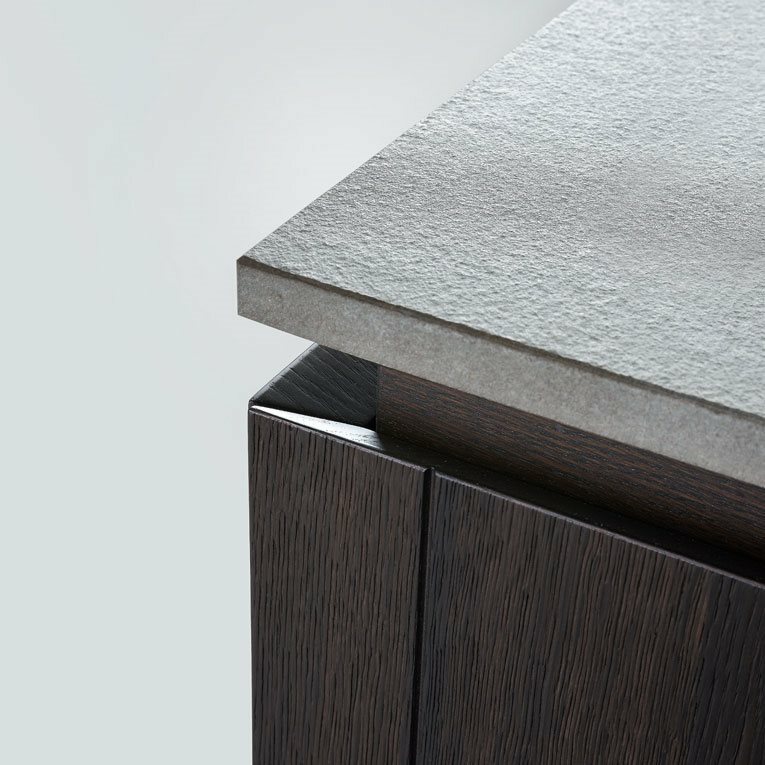 Poliform is a premium Italian manufacturer with a long history, and has gained an international reputation for excellent design, timeless elegance and a high level of functionality. 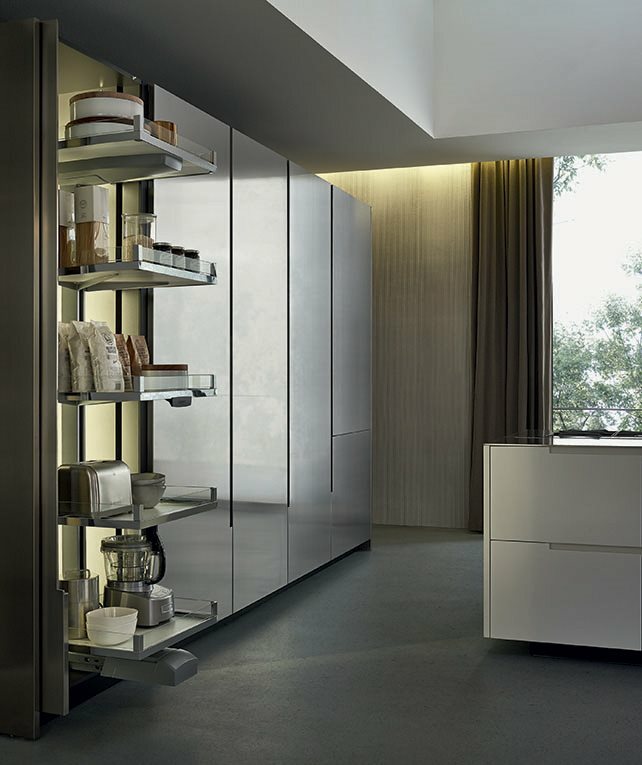 They began as a small artisan's furniture shop in 1942, and have since evolved into a modern luxury brand offering the Poliform “whole home” concept - including wall systems, closets, kitchens, bathrooms and furniture. 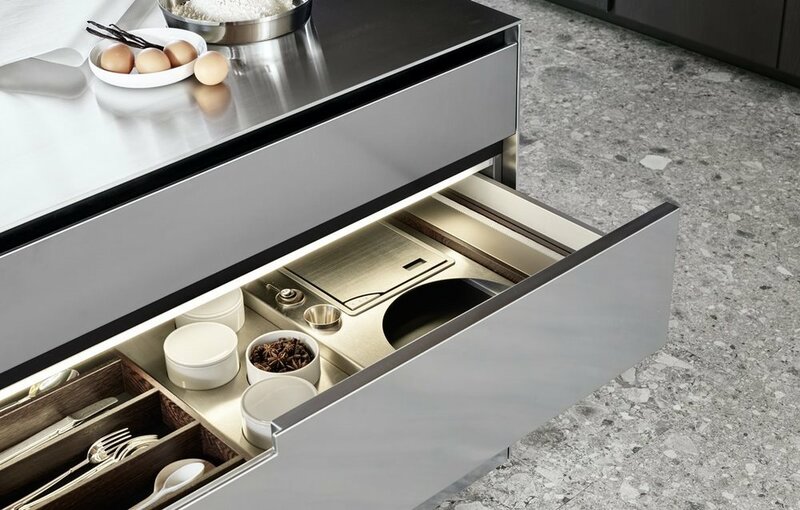 This means that the finishes you select for your kitchen can be carried throughout your home, offering an unmatched level of detail, consistency and flow between spaces. 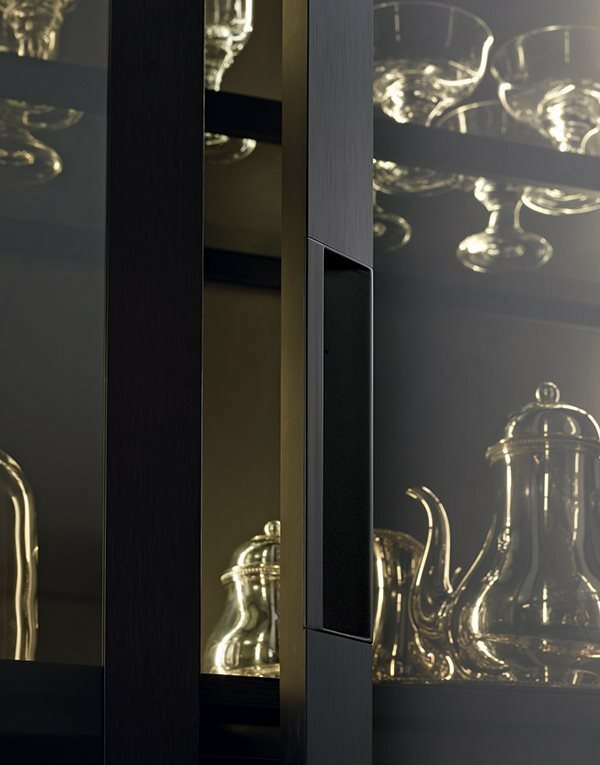 Their range of finishes and quality of materials used are the best in the industry, far surpassing what a local cabinetmaker or builder can offer. 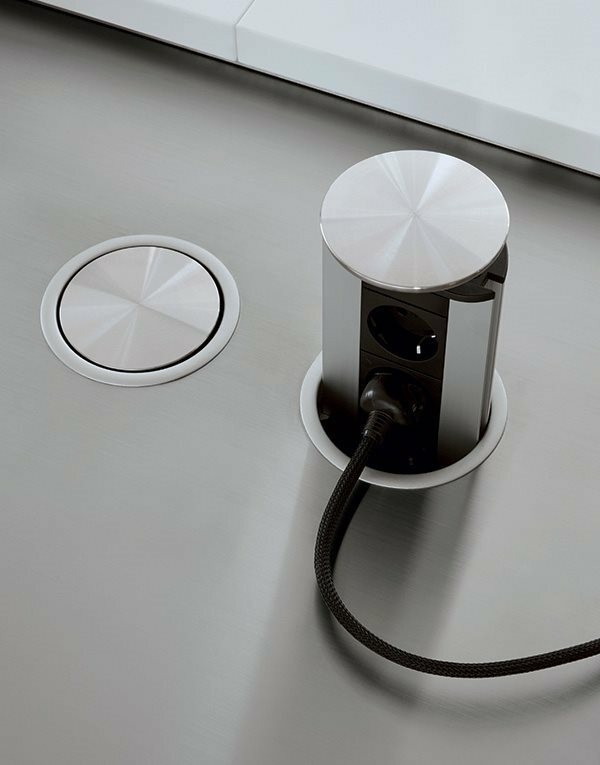 This is why Poliform is selected to furnish some of the top design projects in the world. 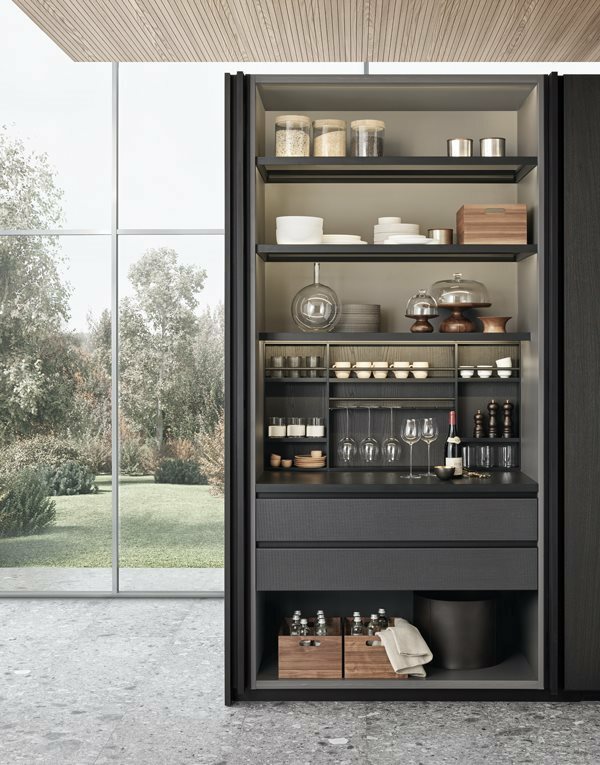 Choosing Projects and Poliform for your project guarantees the best cabinetry design, latest technology, highest quality level, and ongoing after-sales service. What started out as a Minotti sectional purchase, turned into the best experience we have had with a design team. Kelli and Hannah at Projects are professional and adept at all phases of the design process. We utilized their design expertise for multiple phases of our new home construction, from lighting, to furniture layout, and finishing décor. 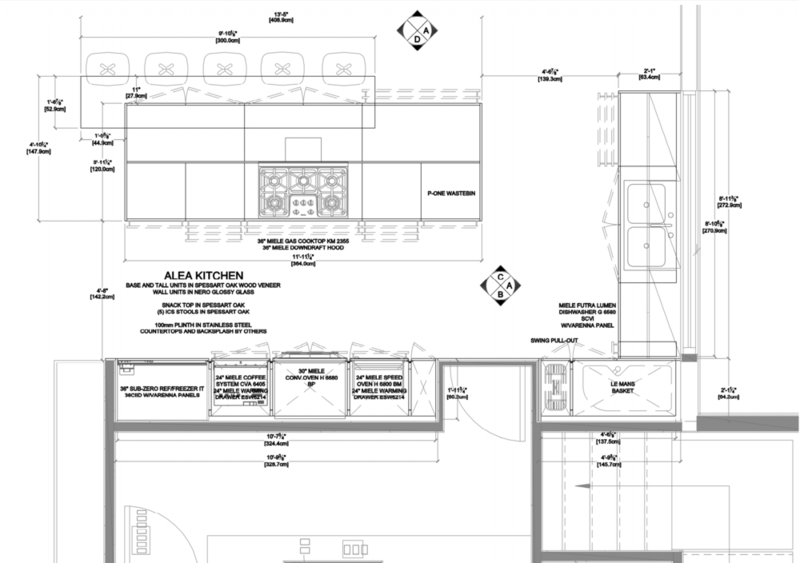 Kelli and Hannah have an exceptional attention to detail and their ability to expediently provide design renderings for the majority of our purchases provided us with the assurance each piece flowed with our modern design. We were always presented with varying product selections at multiple price points.